Pale blue like the springtime sky, this lovely 0.62 carat aquamarine is set in 14k white gold and surrounded by a halo of round diamonds. The scalloped and milgrained edges lend a sense of elegance to this beautiful pendant. 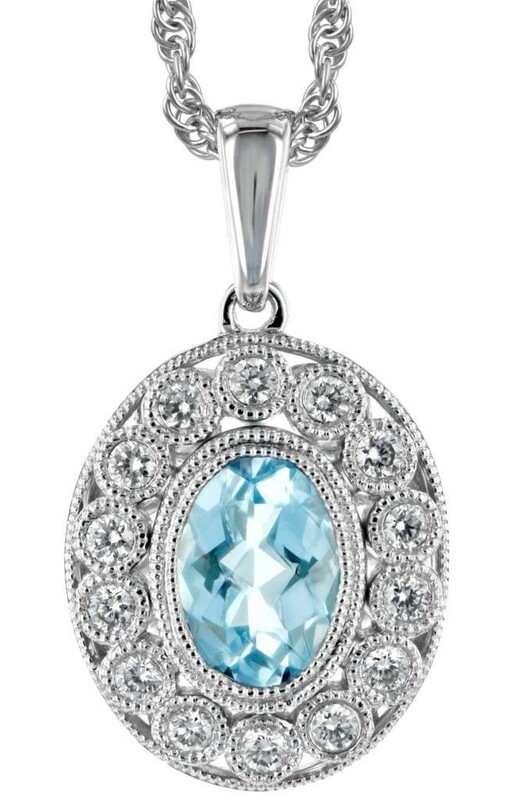 The birthstone for March, the aquamarine creates a beautiful accent to spring and summer wardrobes.